On page 423 there is a poster for the Juillard School showing a red upright ladder almost reaching a cloud in a dark blue night sky, Milton Glaser says of his work: "I remember a painting by Joan Miro that used a ladder leading to the heavens. 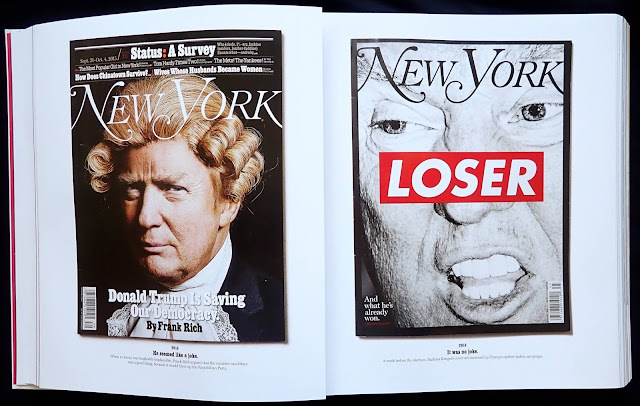 If you're going to steal, steal from the best". I could well apply those last eight words to the work in this remarkable book. 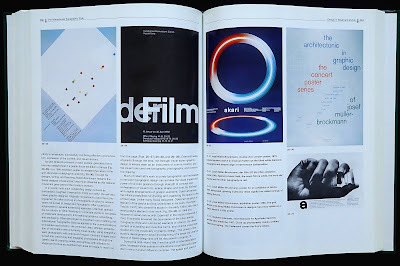 Remarkable because the first poster is from 1962 for the School of Visual Arts and last for Blueform Design in 2017, between these years Glaser designed the 427 posters in the book and whether they are illustrative, photographic or typographic the creativity shows through every time. 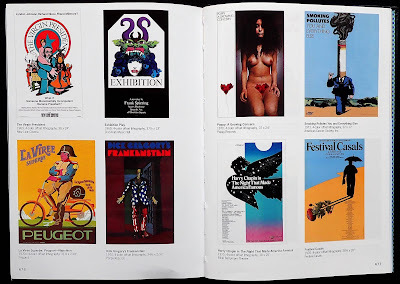 Glaser's long time client the School of Visual Arts has the most entries, over forty I think, there are obviously dozens promoting American cultural events and several for European cities that had exhibitions of his work. 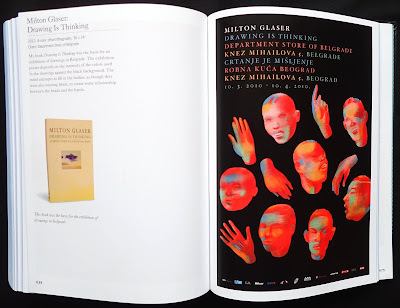 What I found intriguing is that there is no real discernible style to Glaser's creativity even the illustrations, which tend to be unique to an artist, vary enormously throughout the book, perhaps the originality is the main style point. 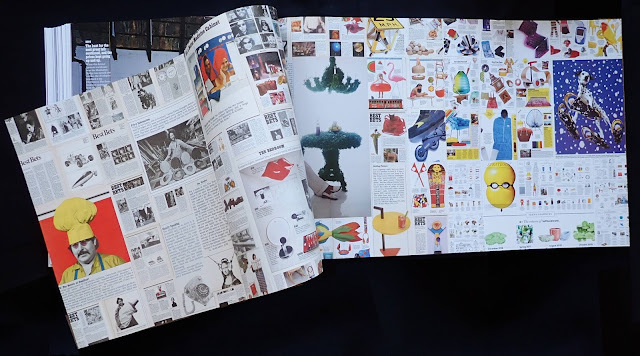 When I first saw the book I thought it was too small for posters but there are 704 pages and in fact the book's just the right size for your hand and inside the format works well. 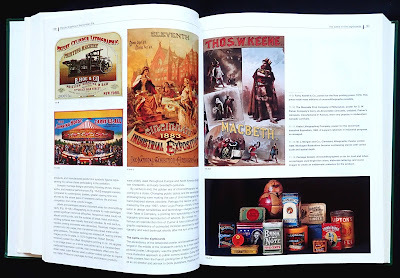 Each poster fills the right-hand page and the facing page has some technical details plus Glaser provides some interesting thoughts about the poster, frequently there is some additional visual material, a rough, photo or maybe an historic painting that provided his inspiration. 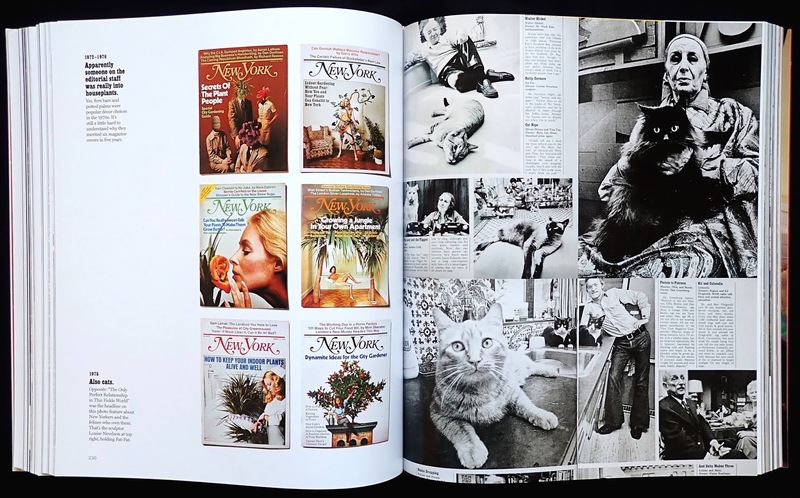 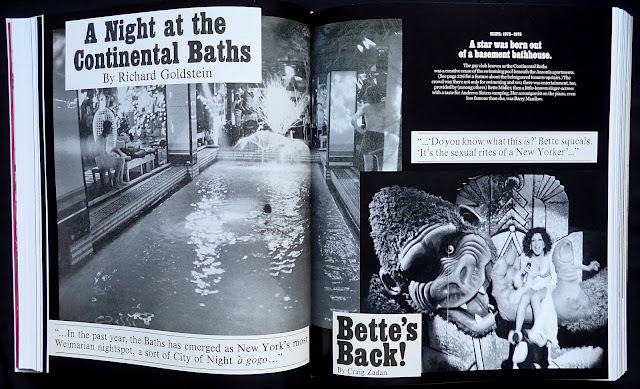 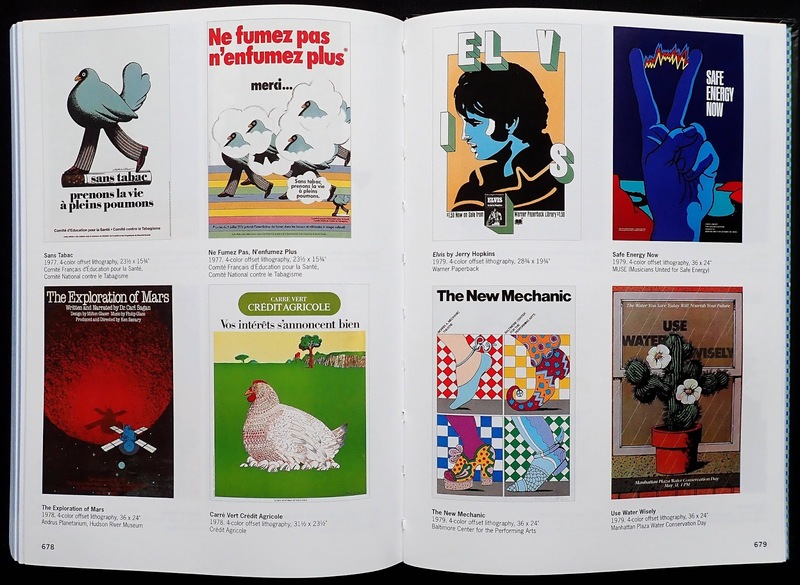 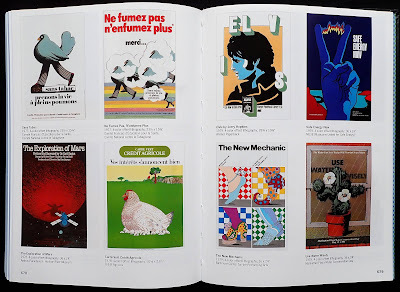 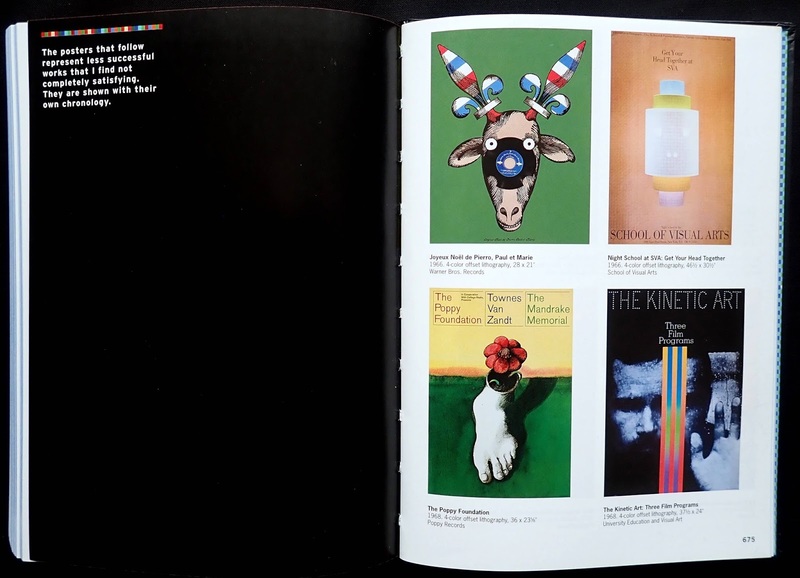 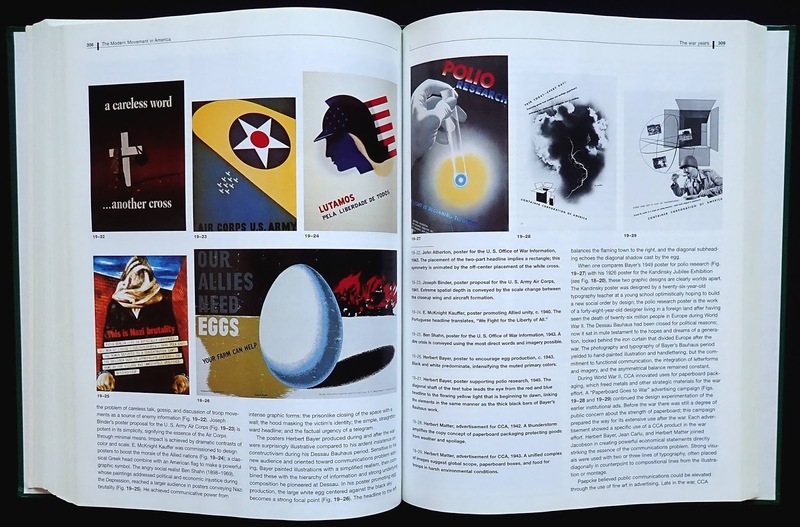 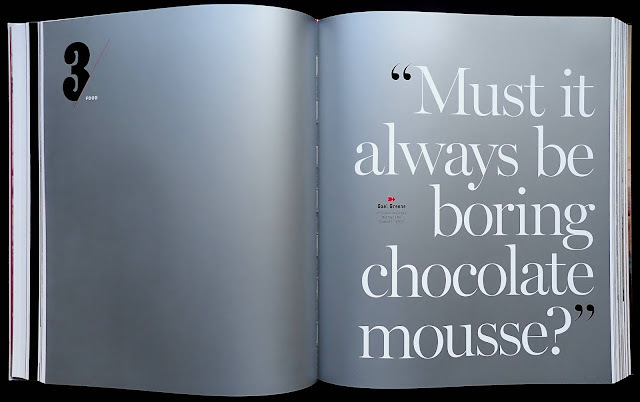 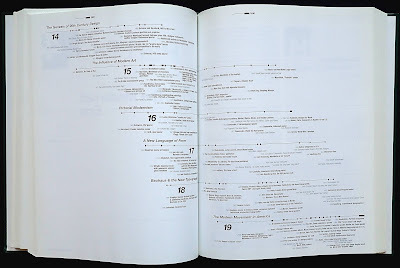 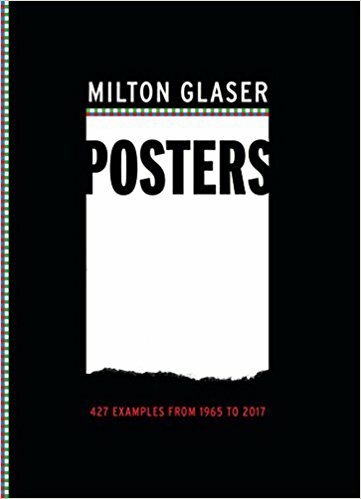 The book's last twenty-five pages has an interesting section with ninety-seven posters from 1966 to 2016, mostly four to a page, that Glaser, with hindsight (and maturity) says he no longer finds completely satisfying. 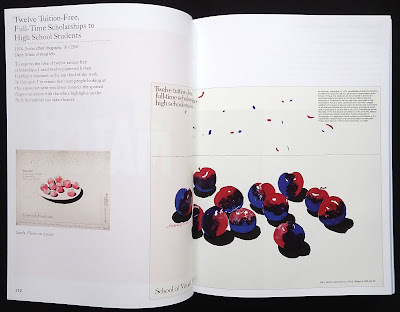 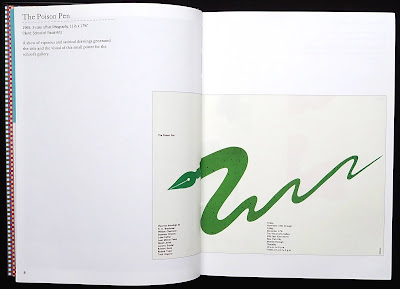 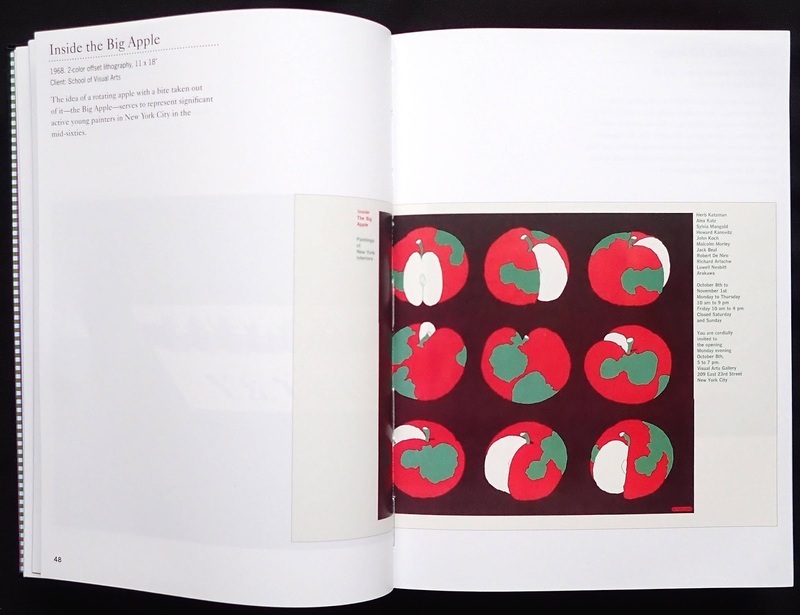 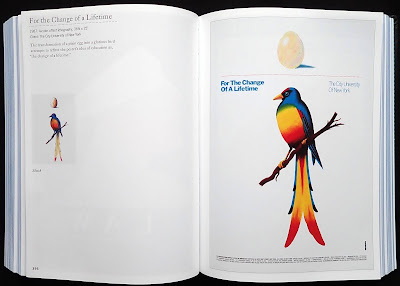 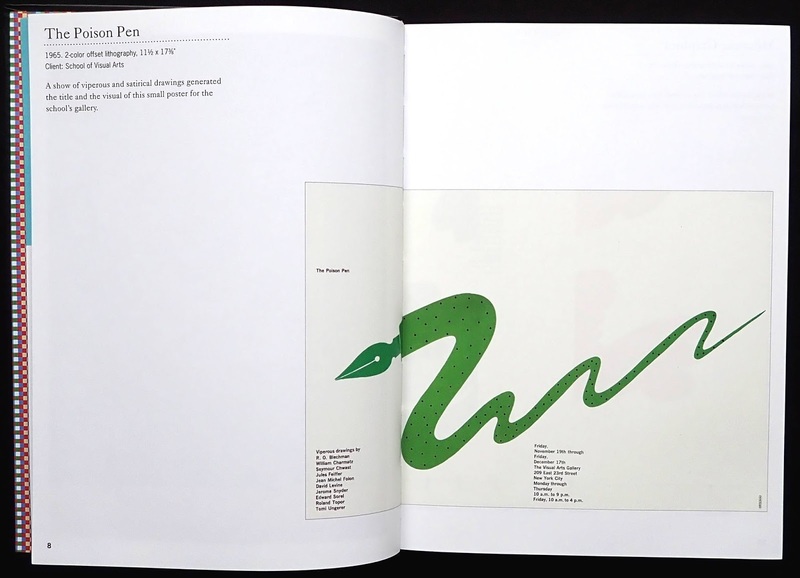 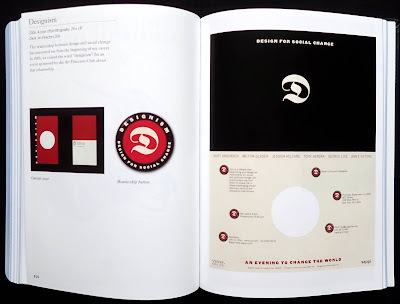 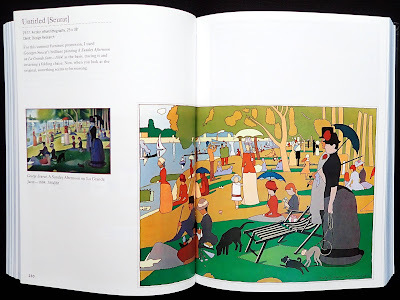 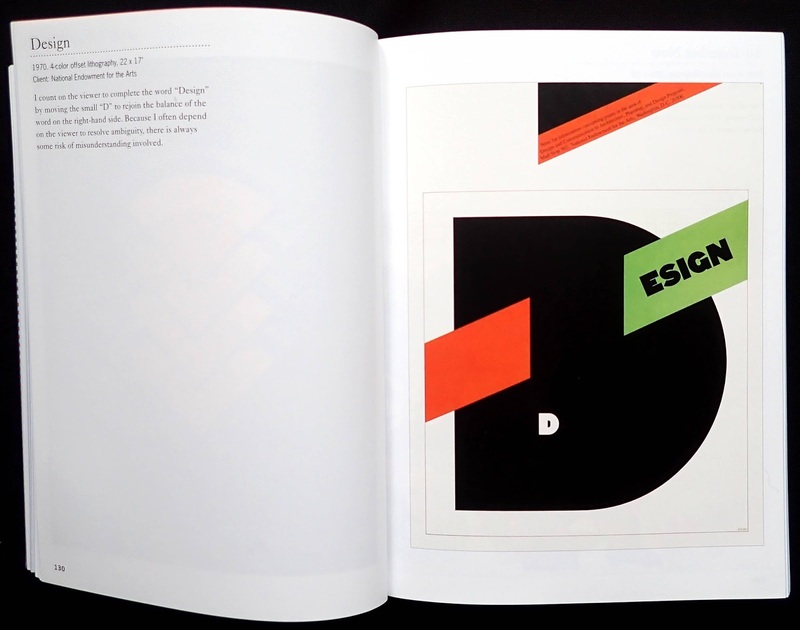 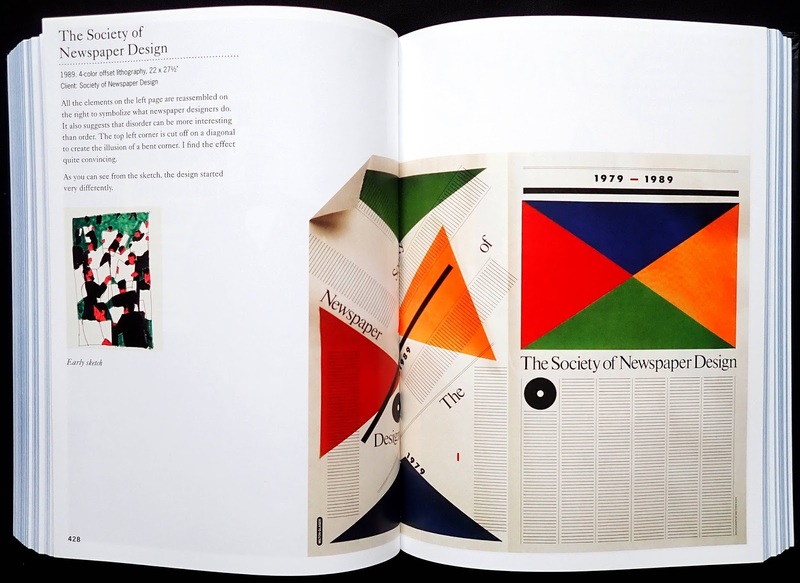 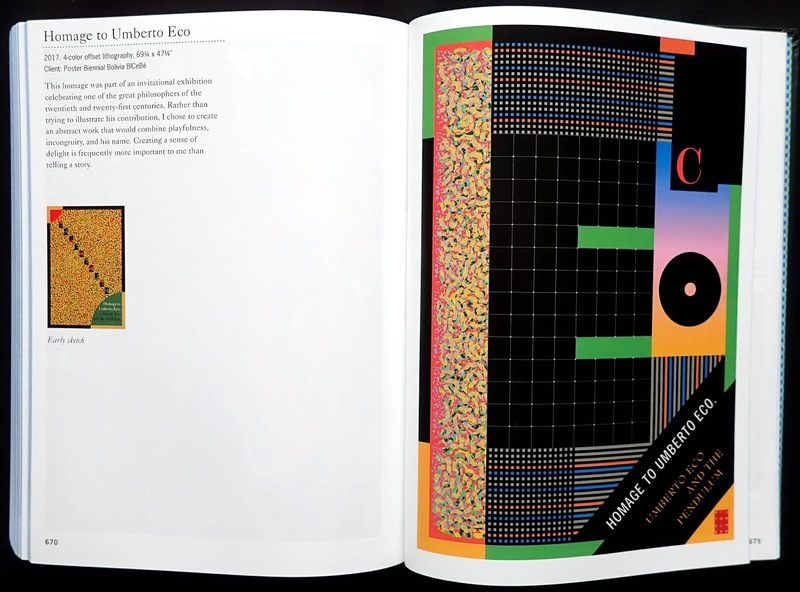 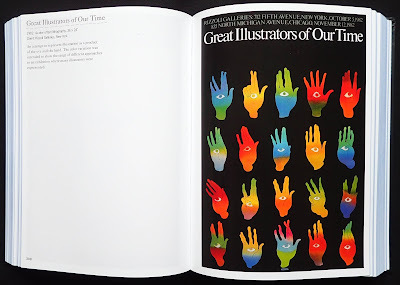 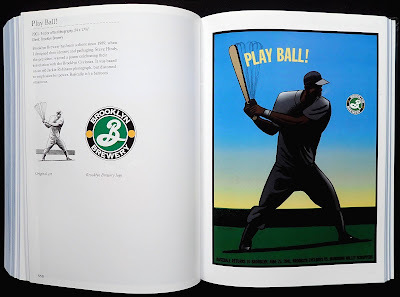 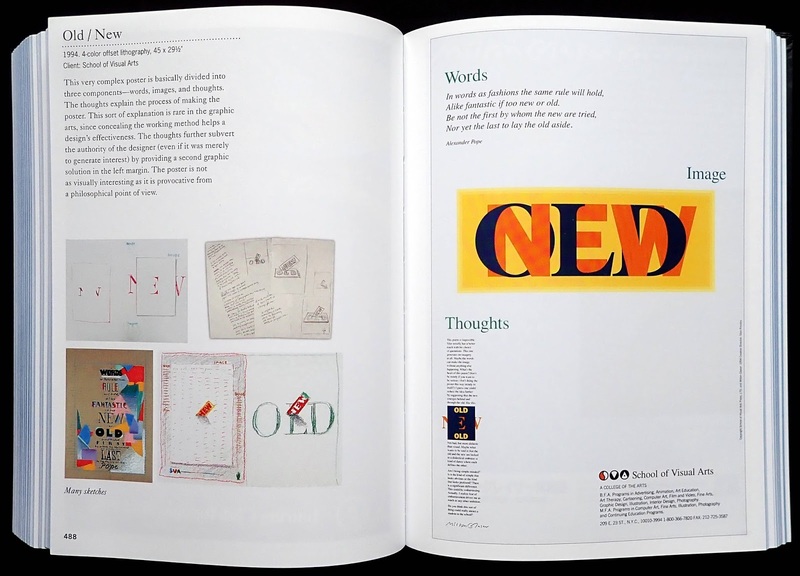 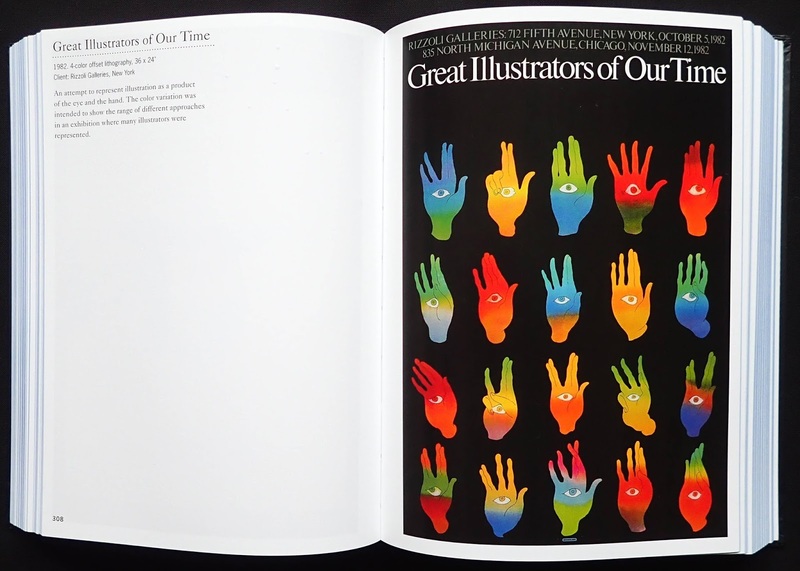 Milton Glaser designed this handsome book and it will appeal to anyone interested in visual promotion. A magnificent history going cheap. 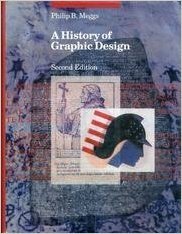 You can pick up a very good used copy of this informative book for probably less than the postage to send it to you. 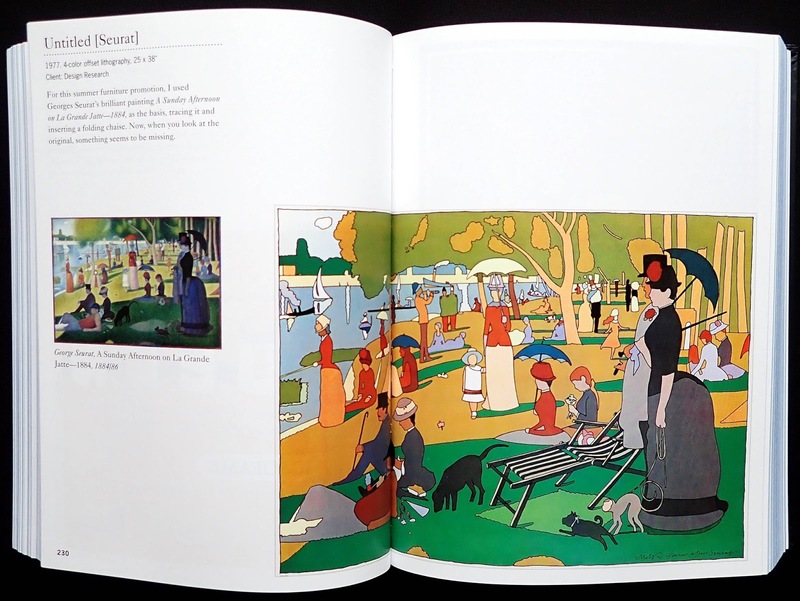 I recently bought the third 1992 edition with 512 pages, hardly used (but no dust jacket) for virtually nothing. 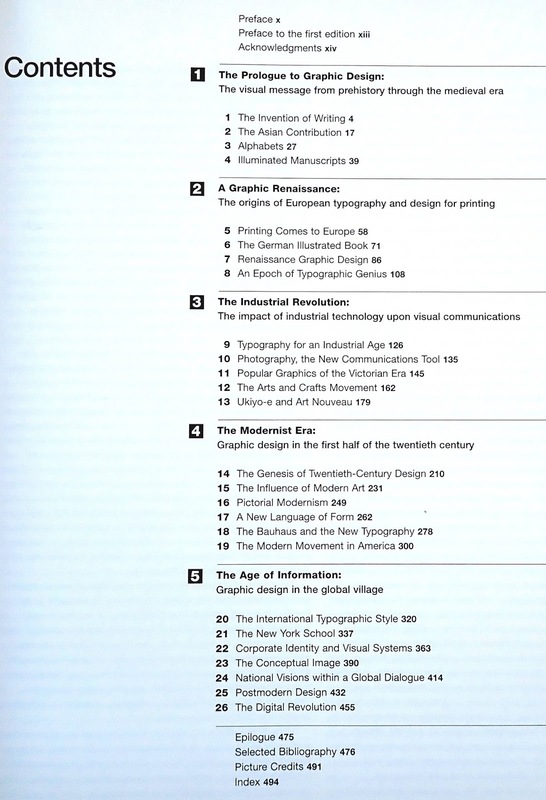 It's now up to the sixth reprint in 2016 with 696 pages and I notice that the cover has the author's name in a huge sans type and the actual title of the book much smaller. 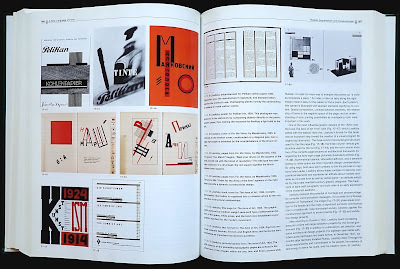 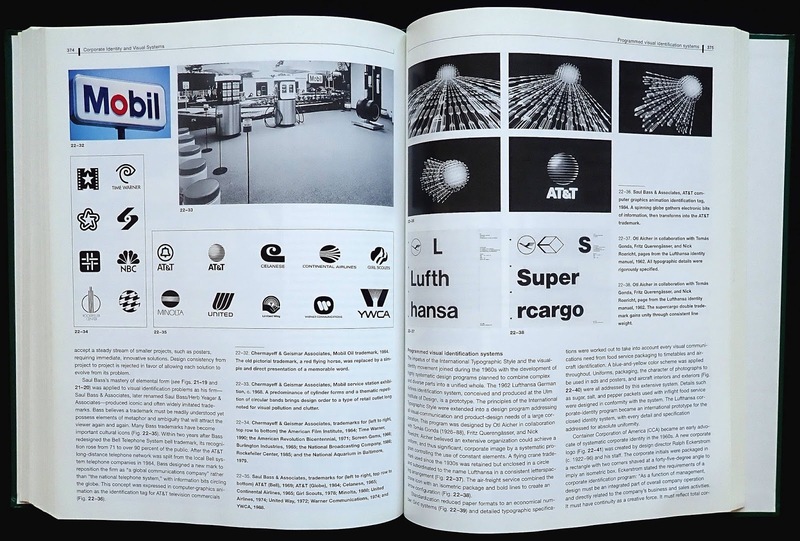 I would imagine that it's now considered the definitive title on the history of graphic design (in the broadest sense) in the English speaking world. This is probably because it starts at year zero and in twenty-six chapters ends up with the digital revolution. 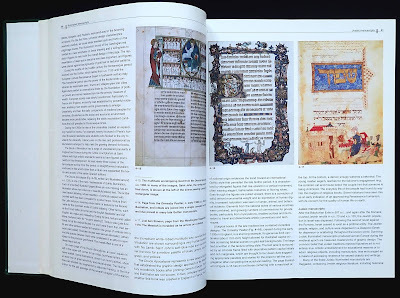 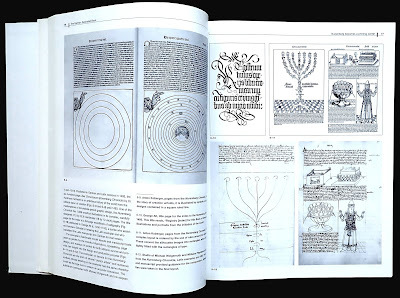 I thought Meggs coverage of the origins of printing in Germany during the fourteenth century combined with some excellent illustrations put the later developments of printing and type in clear perspective. 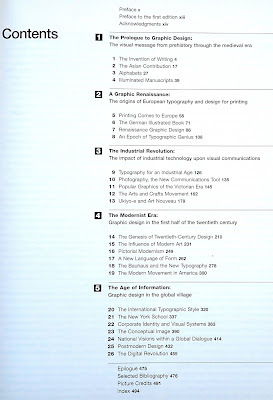 Nicely the author occasionally looks at creativity outside of flat printed graphics, page 164 has a photo of a chair designed by Arthur Mackmurdo from the arts and crafts movement, page 282 shows Herbert Bayer's design for a streetcar station and newsstand in the chapter on the Bauhaus and Robert Venturi's interior for Grand's Restaurant on page 433 in the Postmodern design chapter. 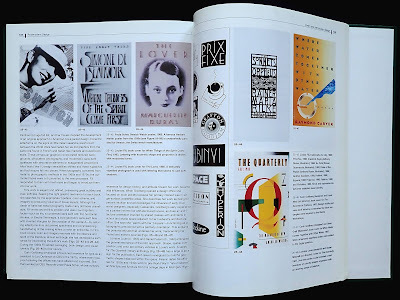 Most graphics get a look in, obviously print like magazines and ads but also posters, typeface design, logos, packaging, book covers, corporate design, transport livery, movie trailers, TV graphics, newspapers, architectural signage, stamps, money. 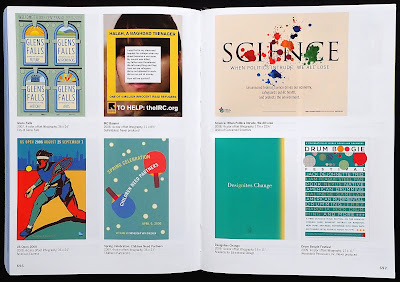 All of them have required some creative input to make them work and Meggs uses some excellent examples to back up his text. 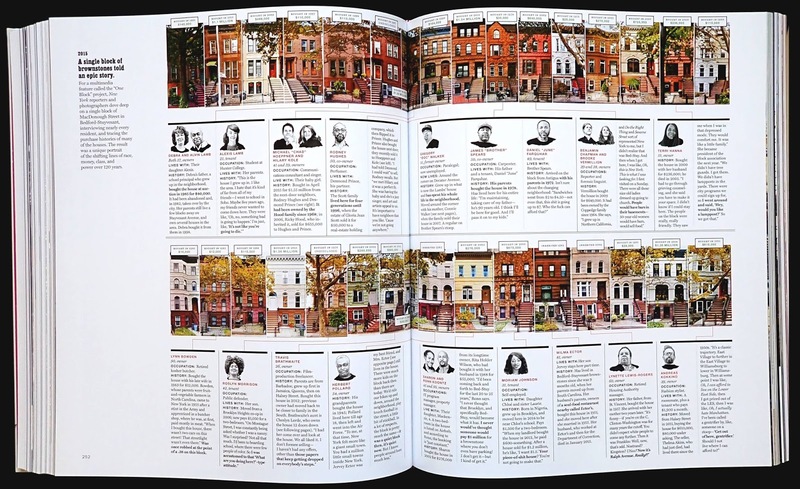 A suitably sumptuous book to celebrate fifty years of the cities leading weekly, of course, there is that other weekly with the addition of ER on its name and that, too, has plenty of listing information but the readership is as much the east coast liberal elite as well as city dwellers. The editors took the wise decision to avoid dividing the years into decades and looking at each in detail, which tends to be the usual format for anniversary books, instead they summed it up in eight chapters: Power; Midnight; Food; Crisis; Living; Culture; Family; Style. 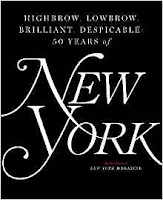 Each of these picks out the highs and lows of how it effected New York folk. 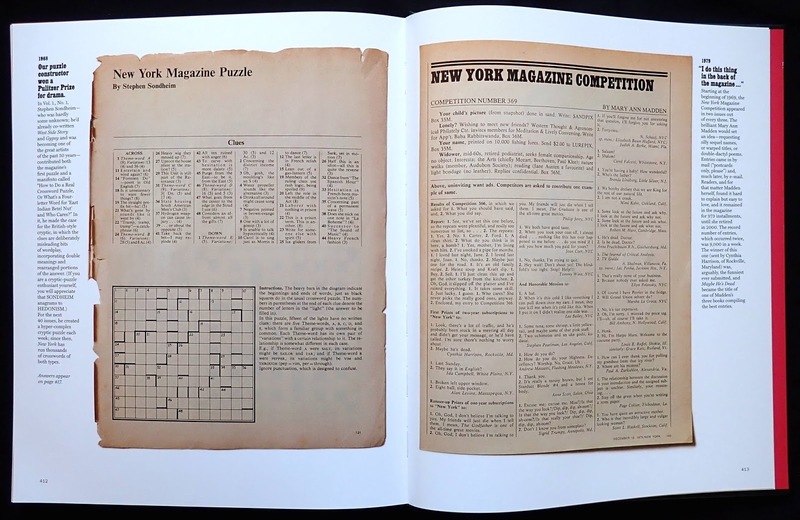 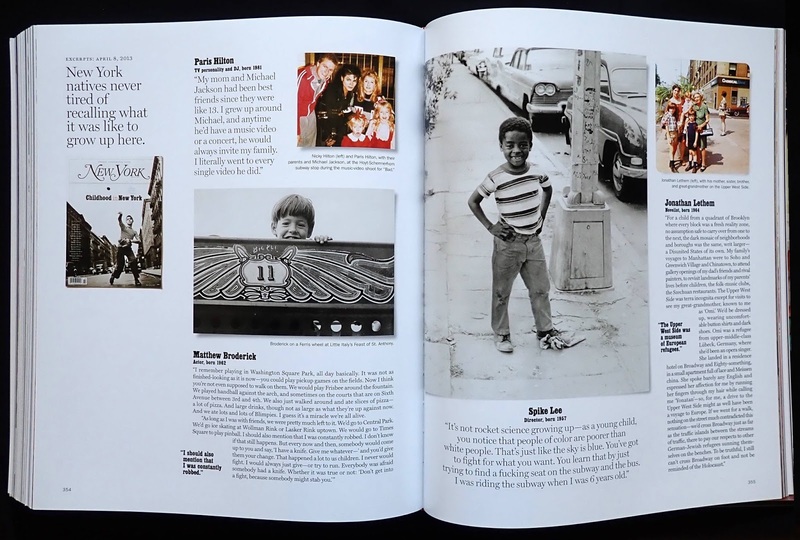 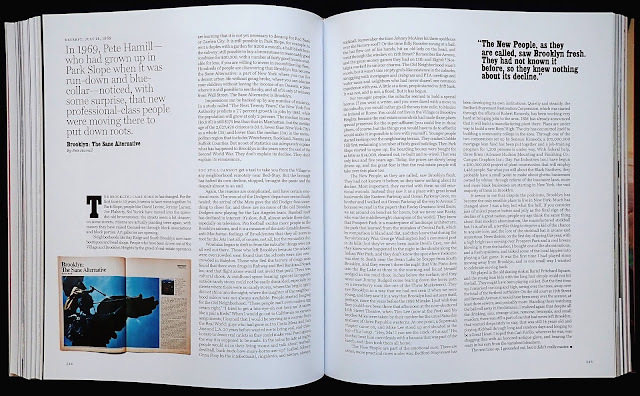 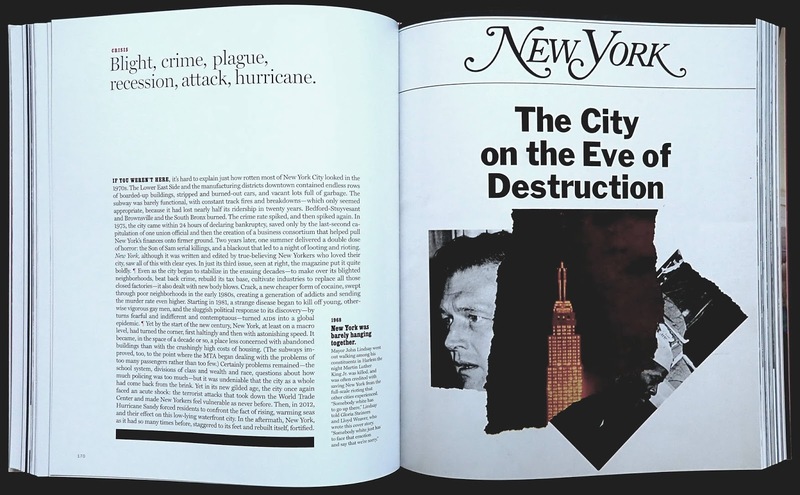 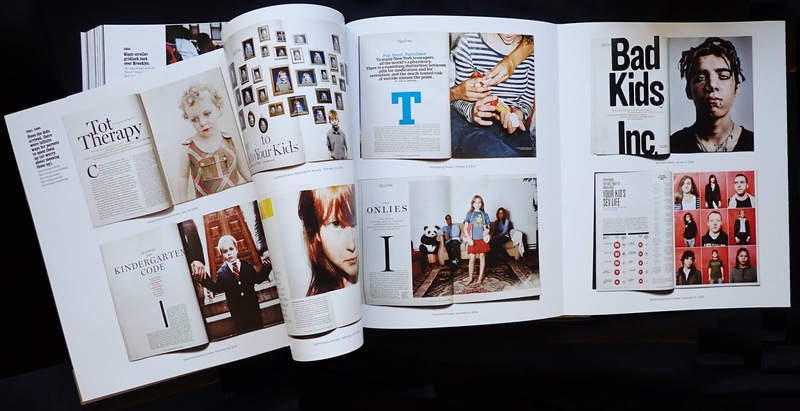 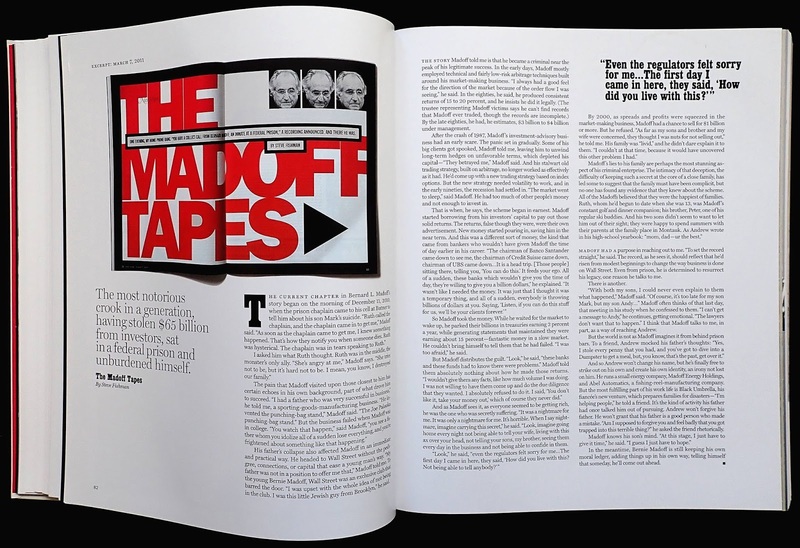 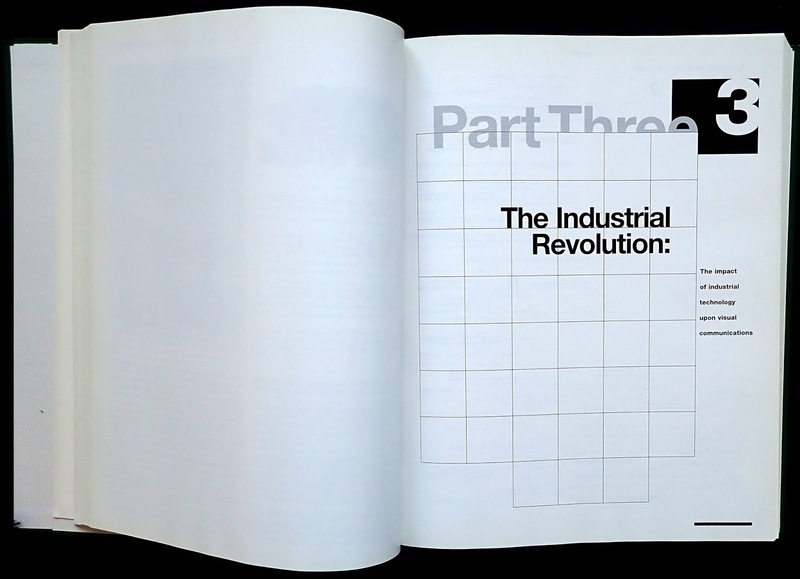 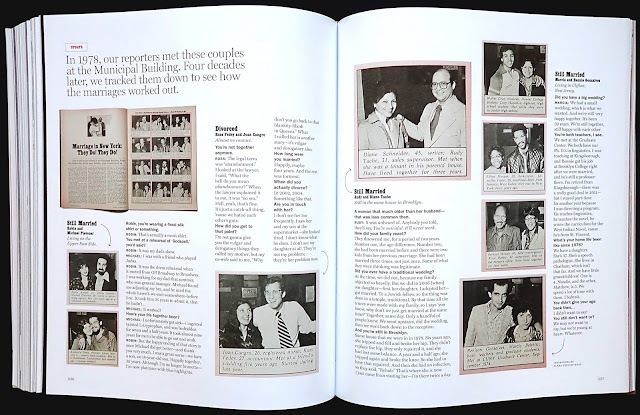 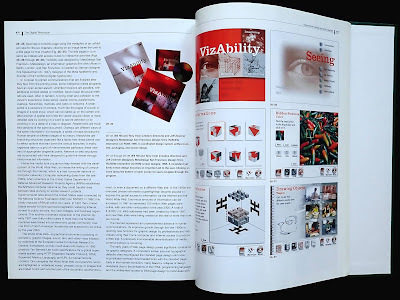 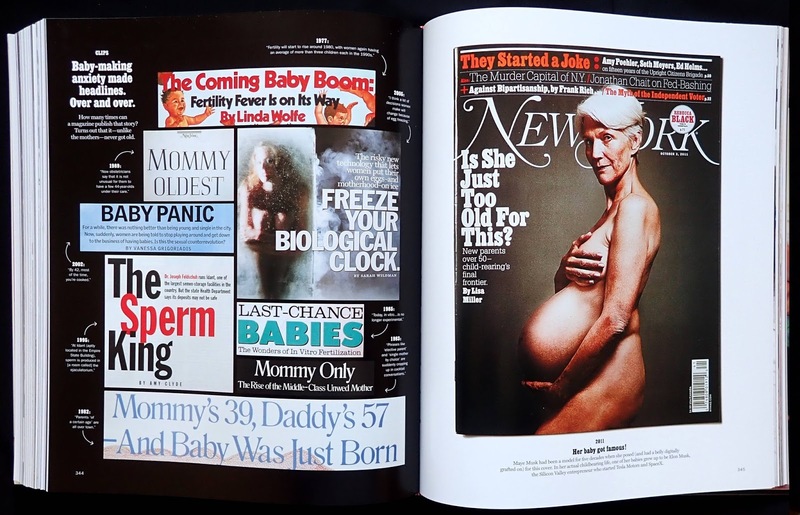 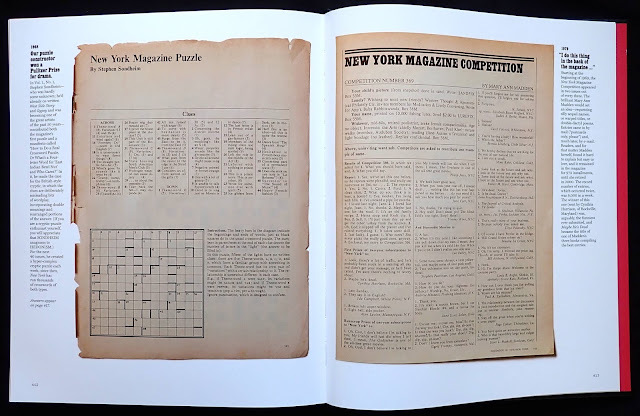 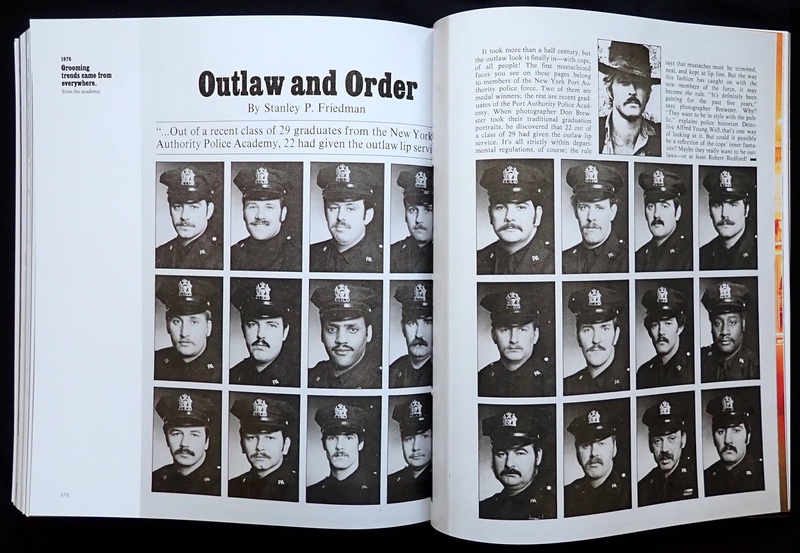 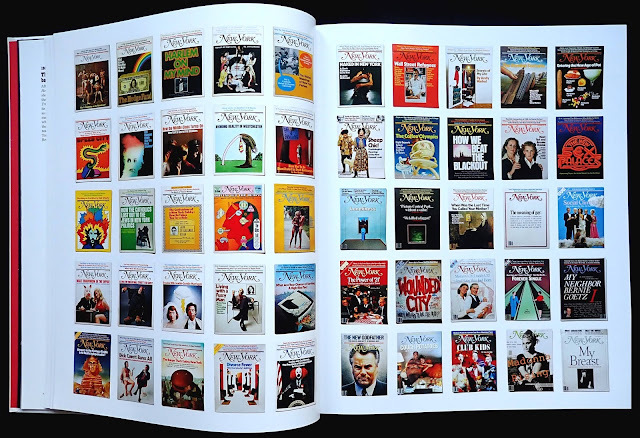 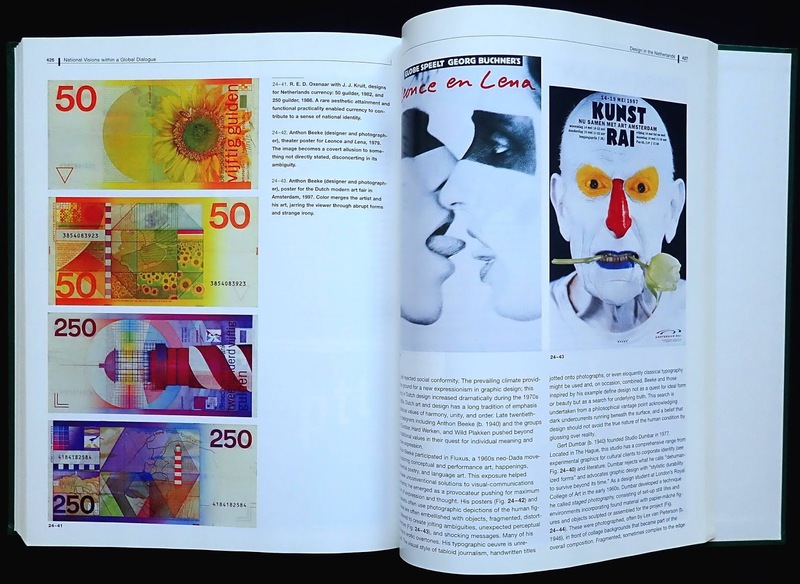 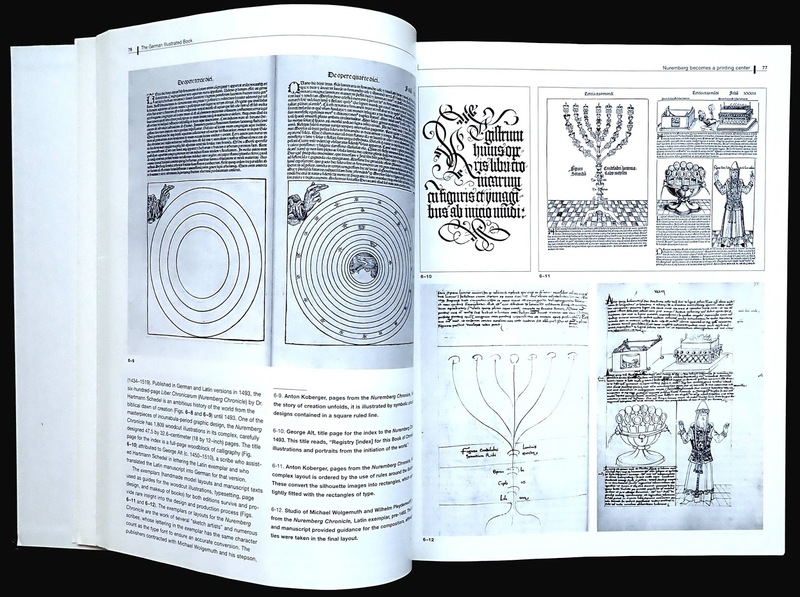 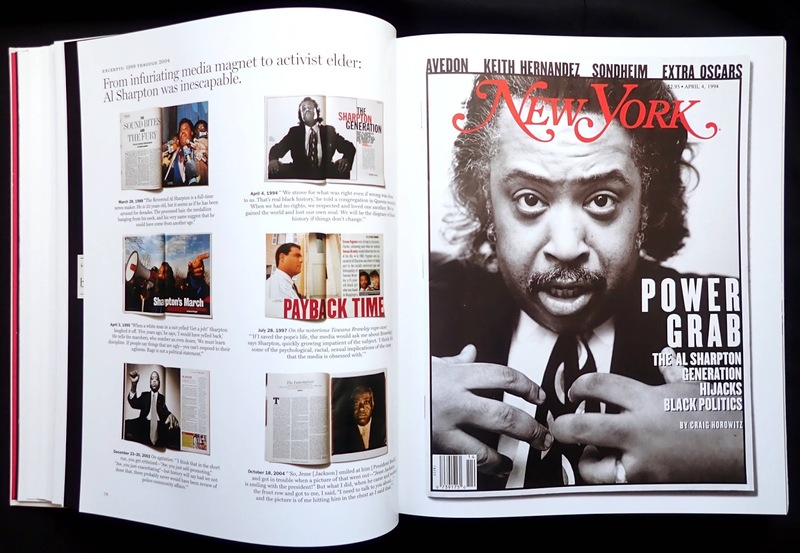 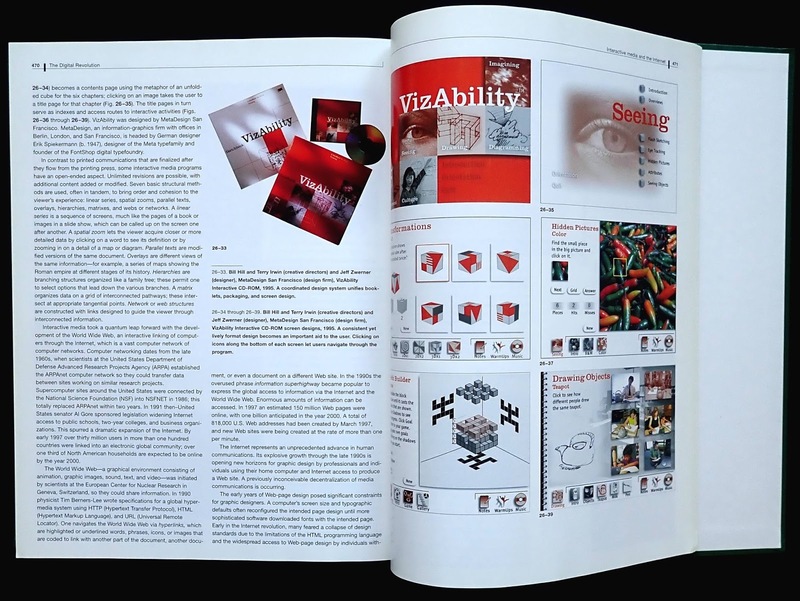 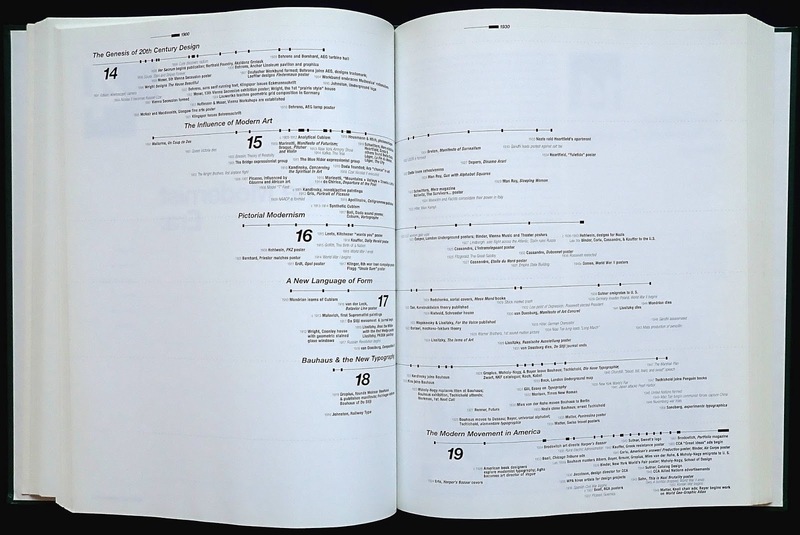 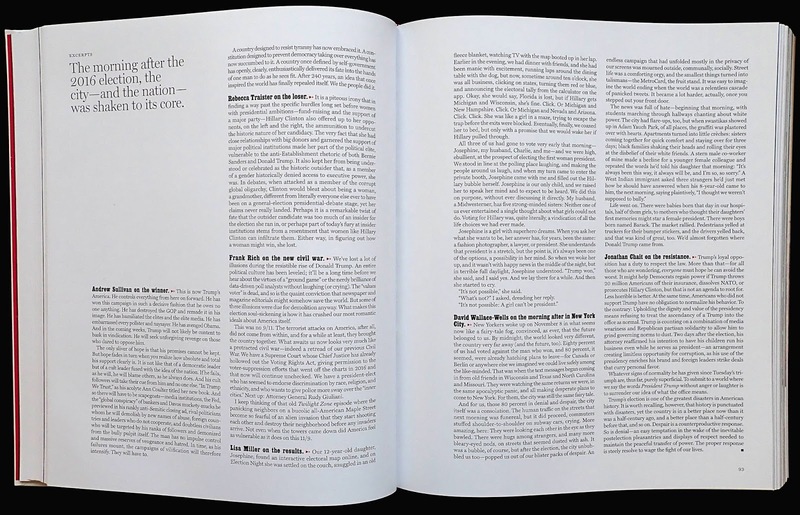 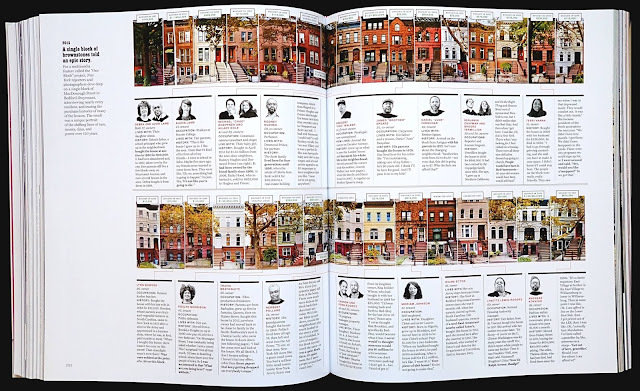 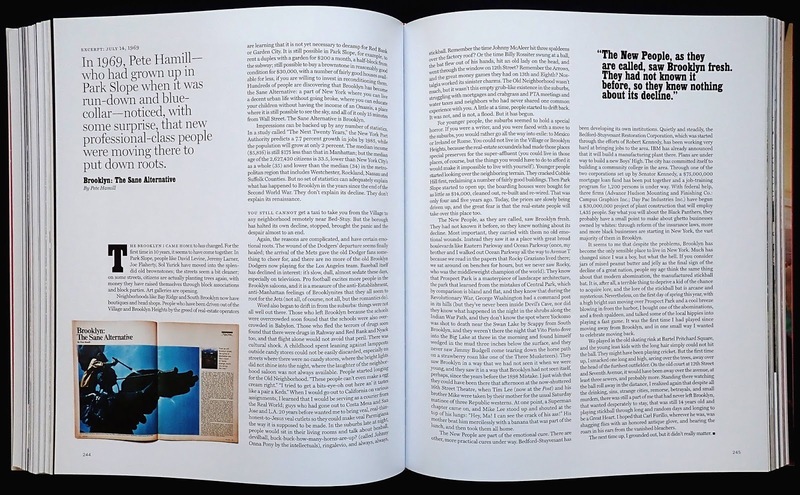 It's worth saying that this is a highly visual book, covers, photos and pages from the magazine are reproduced or the articles reset, for example, Bernie Madoff's March 2, 2009 cover fills a page and the next spread has a reprint of the article by Steve Fishman and a graphic of the original spread in the magazine. 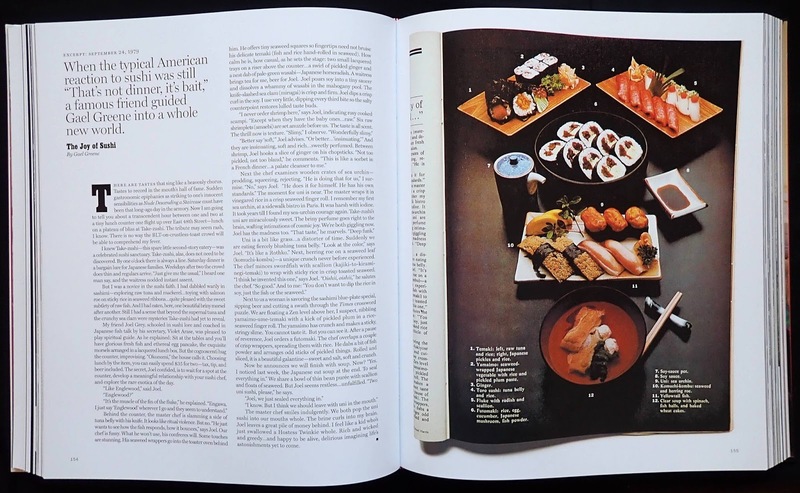 There are eight two page fold-outs with covers and reproduced pages for various subjects like Nixon, Trump, food, design, celebrity et cetera. A couple of items I would have expected to see but are absent, one -- the commercial architecture of the city, there have been some very significant skyscrapers erected in the last fifty years and two -- fifty years of covers. 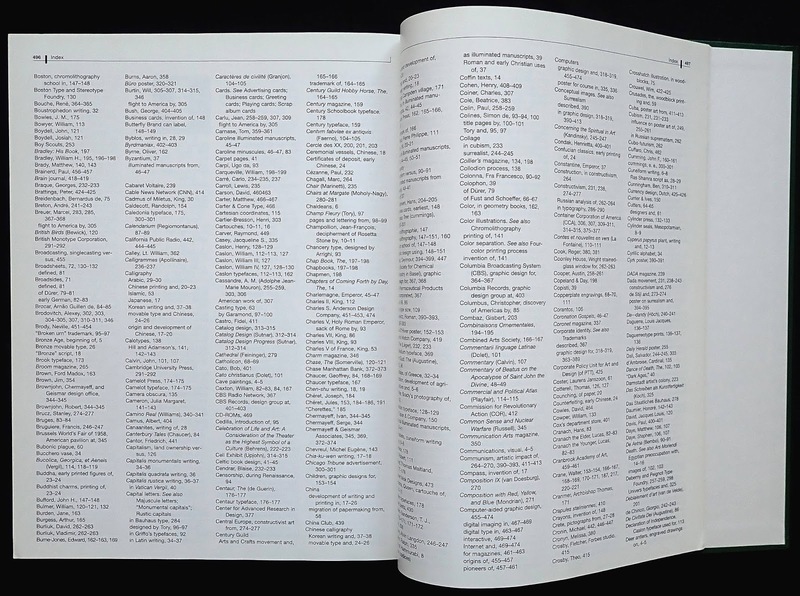 OK, 2600 of them maybe going too far, as it is think there are probably around two hundred throughout the book. 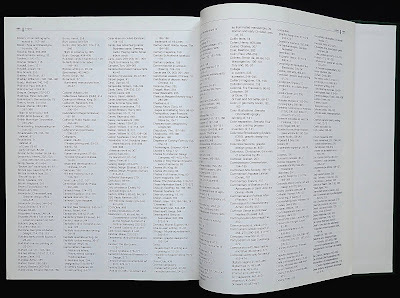 Pages eighteen to twenty-one has a hundred of them. 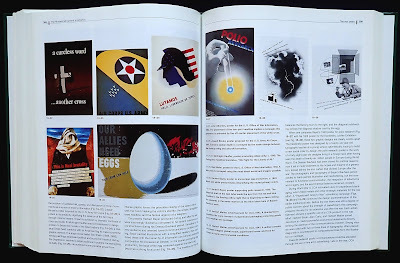 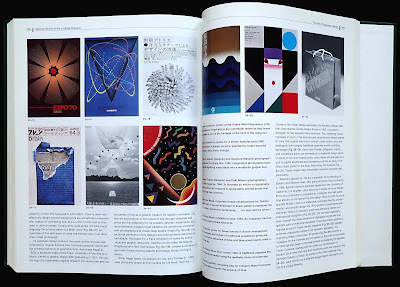 Looking at a page of covers confirms that the magazine has had some very talented Art Directors over the years, it always looked a beautifully designed publication. 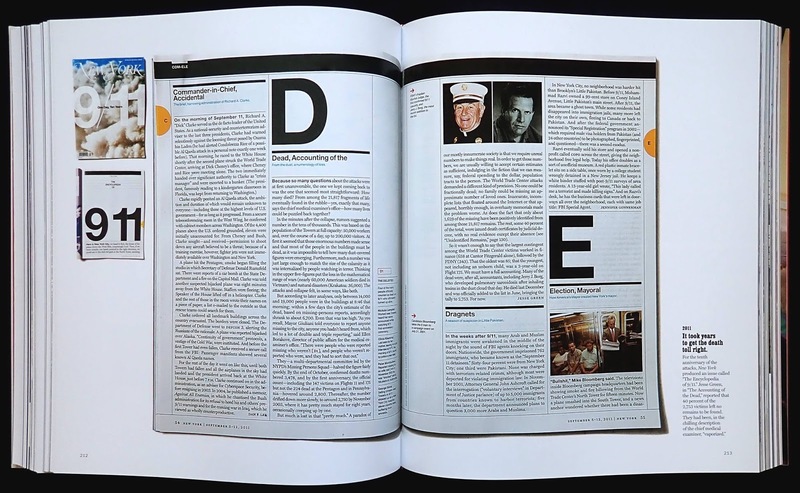 Overall, I thought this was a handsome, pictorial reminder of an essential weekly read. 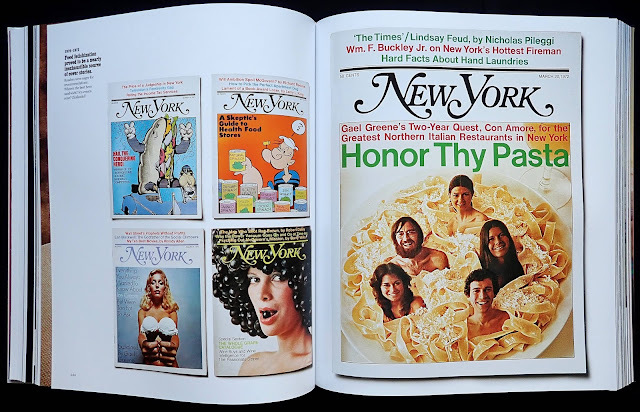 Incidentally, when you get your copy remove the cover because the reverse opens out to a large poster called The Approval Matrix, everything from highbrow to lowbrow, the NYC taste hierarchies revealed.